Expedia has some outstanding Camoca travel packages ready and waiting for you. Combining your airfares and lodgings is one of the most straightforward ways to save cash on your upcoming adventure. With just a few clicks, you can organize everything you need for your next vacation through our comprehensive database. And — with more than 400 partner airlines and 321,000 properties from all around the world, you'll have the freedom to mix and match! If you change your travel plans, we will honor your cancellation request on nearly all bookings with no extra fee. There's no limit to the number of amazing things you can do when you're in a new place. So why not get your trip to Camoca off to the perfect start by checking out some of our top tips? After all – out there starts here! Ever wondered how master vintners turn the simple grape into a flavorsome bottle of wine? Stop by El Gaitero to find out for yourself. There's a fabulous range of things to do in and around this destination. You don't have to dress in long, flowing robes or even be particularly spiritual to enjoy the peacefulness that comes with spending a little time at Monastery of Valdedios. Still have some time to spare? If you’re looking for some spiritual enlightenment on your vacation, make your way to Church of San Juan de Amandi. Who knows, you might even glimpse the answers to a couple of life's most perplexing questions! Wander the streets and experience new things in Camoca. Seeking out cheap vacations or luxury getaways? Expedia has at least 15 properties within easy reach, so getting a comfortable room won't be an issue. The BAL Hotel Spa (Ctra N-632 Km 59,6) and the Hostería de Torazo (Plaza de la Sienra, 1) are two of the higher-end options in Camoca. 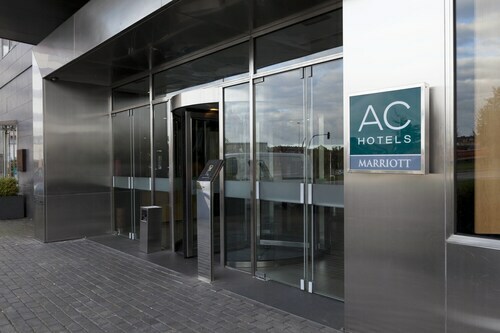 Book a room at either and you're sure to have some of the best services and hotel features in town. If you'd rather spend your precious dollars on things like thrilling adventures and wild nightlife, why not have a look at some of our budget options? The Mirador de Moriyón (Moriyon 2) and the Casa España (Plaza Carlos I, no. 3) come recommended. Asturias Airport (OVD) is the entry point for most visitors going on a trip to Camoca. It's situated 30 miles (48 km) from the heart of town. 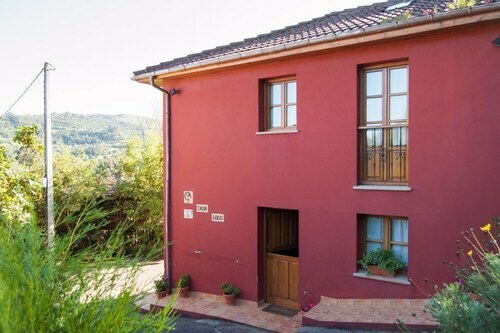 Situated in Villaviciosa, this country house is 2.4 mi (3.9 km) from Church of San Juan de Amandi and 2.6 mi (4.2 km) from Monastery of Valdedios. Fundación José Cardín Fernández and Oficina de Turismo are also within 6 mi (10 km). 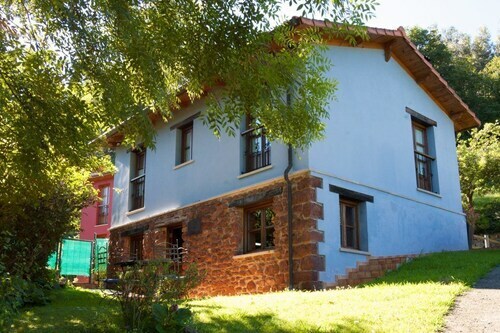 Situated in the mountains, this country house is 2.4 mi (3.9 km) from Church of San Juan de Amandi and 2.6 mi (4.2 km) from Monastery of Valdedios. Fundación José Cardín Fernández and Oficina de Turismo are also within 6 mi (10 km). Located in Distrito Sur, this hotel is within 2 mi (3 km) of Los Fresnos Mall, Estatua de Jovellanos, and Casino de Asturias. Los Pericones Park and Gijon Railway Museum are also within 2 mi (3 km). Gijón Station is 28 minutes by foot. Located in Oviedo City Centre, this hotel is within a 15-minute walk of Plaza del Paraguas, Archaeological Museum of Asturias, and Camara Santa de Oviedo. Plaza de Trascorrales and Constitution Plaza are also within 15 minutes. Oviedo Station is 26 minutes by foot. 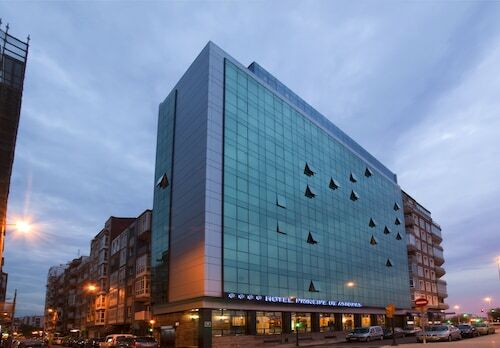 Located in Gijon City Centre, this hotel is within a 10-minute walk of Casino de Asturias, San Lorenzo Beach, and Plaza Mayor. Palacio de Revillagigedo and Campo Valdes Roman Baths are also within 15 minutes. Gijón Station is 15 minutes by foot. Mon., 12 Aug. - Sun., 25 Aug.